Hello, my name is Ray and I love my RV! Over eight years ago my wife and I sold our home and bought a brand new fifth wheel trailer. We set off on an amazing one year journey traveling all around the US and Canada. About 3 months into the trip we knew this was the life for us. We loved the RV lifestyle and have continued it as full-timers traveling south in the winters and retreating to the north for the summers. My wife Anne has switched from a career in software development to one that she truly loves as a nomadic landscape photographer. Because of this we seek out and enjoy the most beautiful natural surroundings we can find. With the RV, we can immerse ourselves in some breathtaking spots and soak up the amazing scenery. Early on I started a blog as a way of keeping family and friends up to date on our travels. As time went by and we fully embraced our new RVing life the blog grew and I added more and more content that was aimed at helping out other RVers. 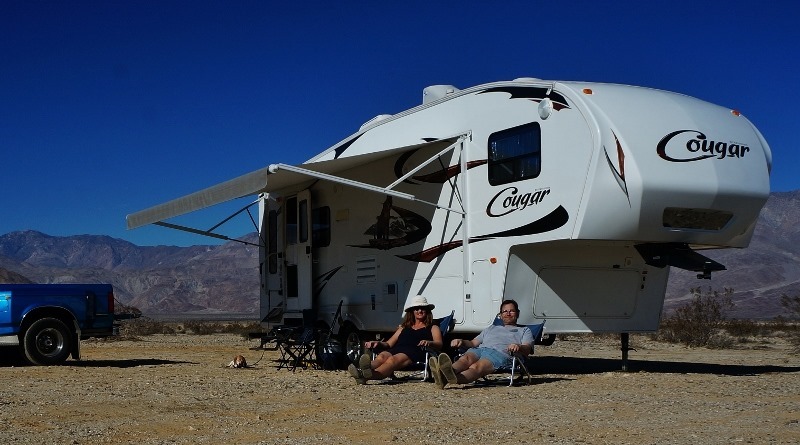 Today the Love Your RV website contains not only my personal travel blog but also has sections with RV tips, modifications, upgrades, and product reviews. Check out over 500 posts in the archives! My goal is to help other RVers, especially those just getting started, by showing what has worked for me and how I did it. I try to put out the kind of information I would want to see. It really makes me feel good when I get a comment or email for a fellow RVer thanking me for an article or video that has really helped them. Love Your RV Forum is a social community where RVers can meet and mingle, sort of a virtual online happy hour. It’s been a lot of fun making new friends, helping each other out, chatting and swapping our RVing stories. That has been one of the most surprising things about the RV life, how social it is. I’ve made more friends and connections in the last few years than the previous twenty. We may lead a nomadic life but definitely not a lonely one.